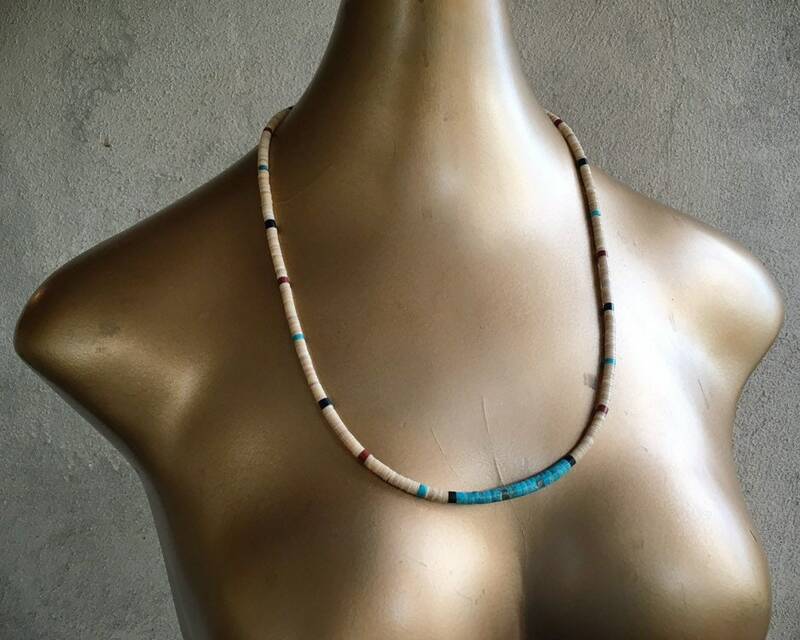 This heishe necklace is made with small hand shaped beads that come from all natural materials--the warm white is melon shell, the blue is turquoise, the russet is pipestone, and the black in onyx or jet. 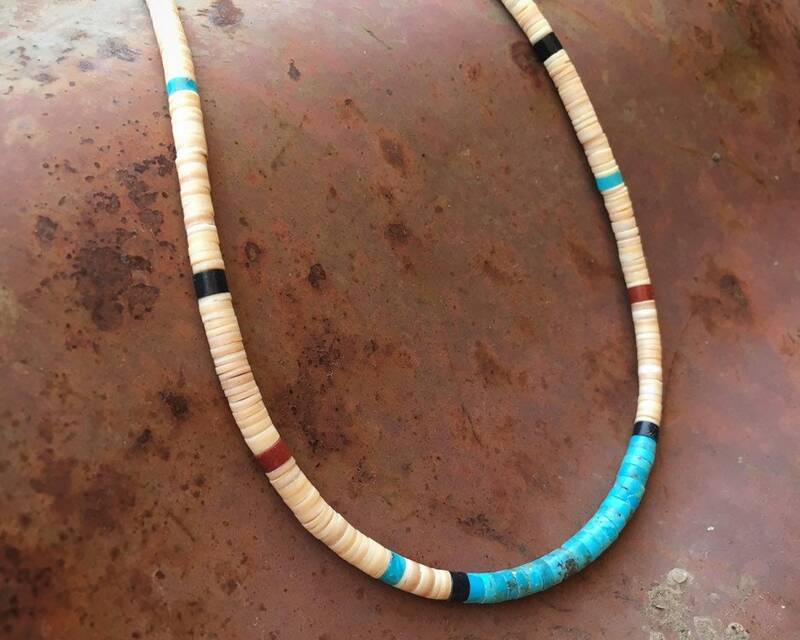 The word "heishi" means "shell," although it has come to signify any type of small drilled bead, such as those made of turquoise. 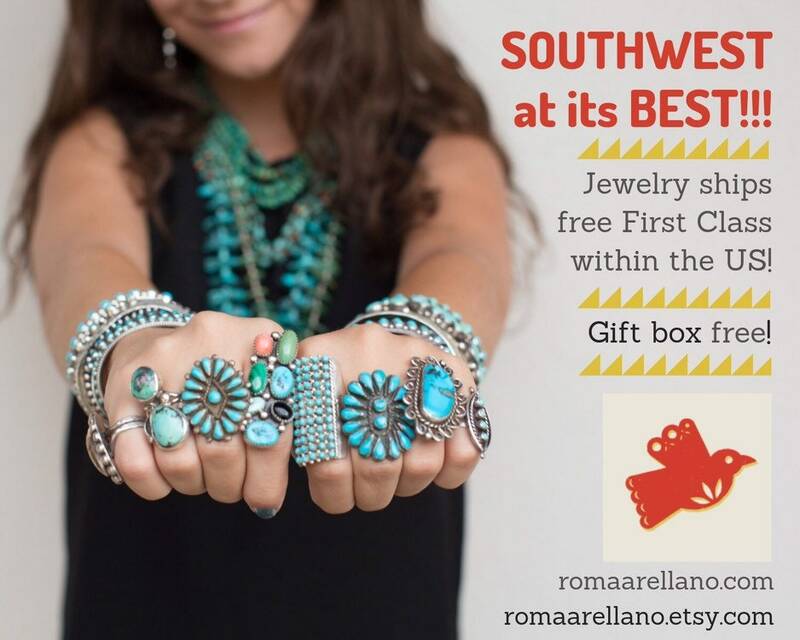 This is the oldest form of jewelry making in New Mexico, pre-dating the introduction of metals. 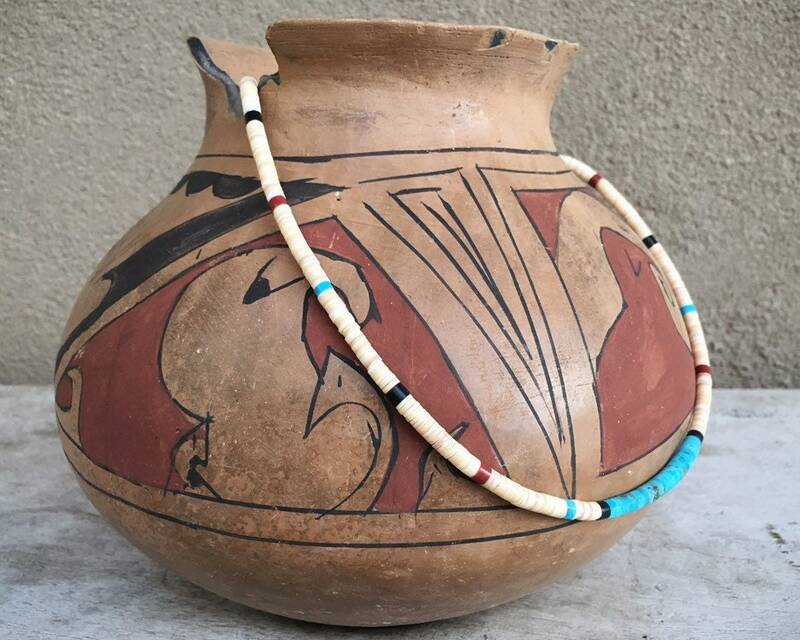 Although this piece is circa 1990s, very old heishi would have been made with shells obtained through trade with the Gulf Coast. 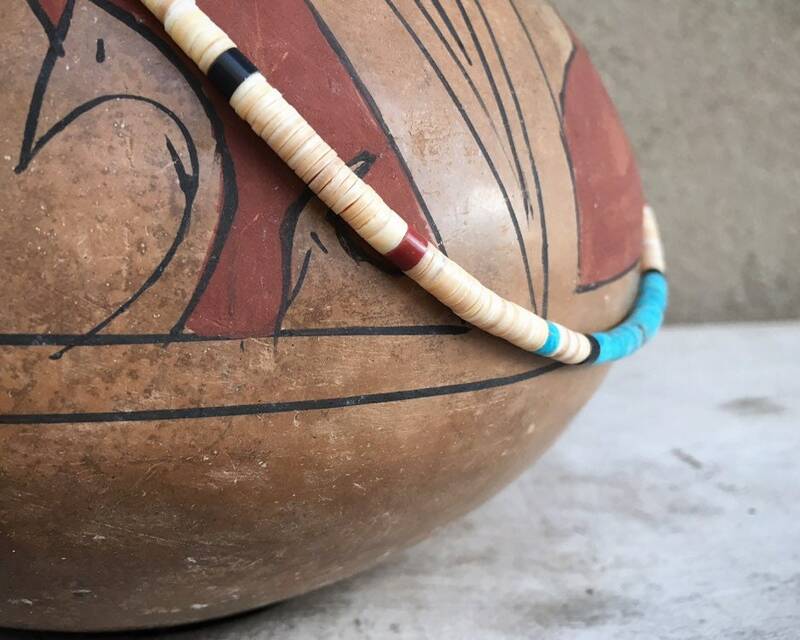 Pueblo Indians in New Mexico who are most known for heishi work are the San Felipe and Santo Domingo. 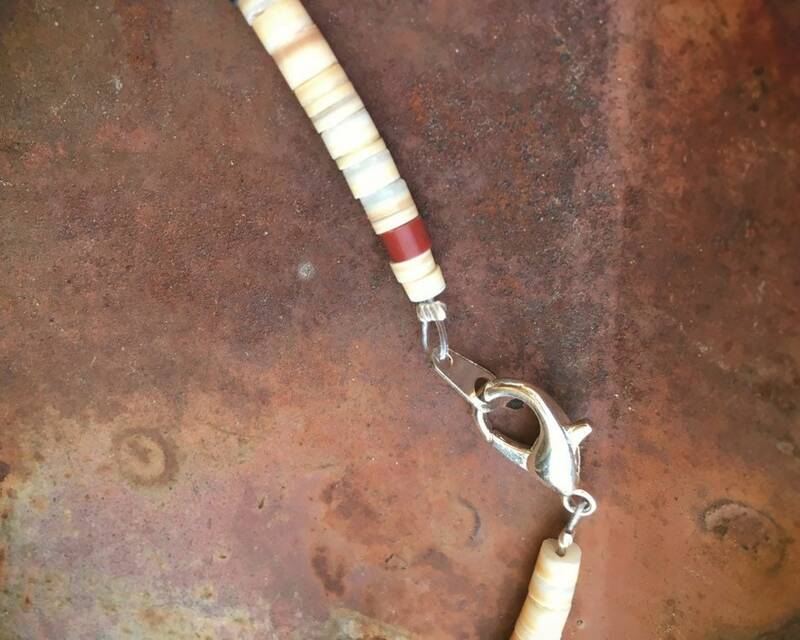 The beads start as raw shell or gemstones (turquoise, lapis, coral, etc.) which are cut into narrow strips. Small squares are made using a nipper tool. 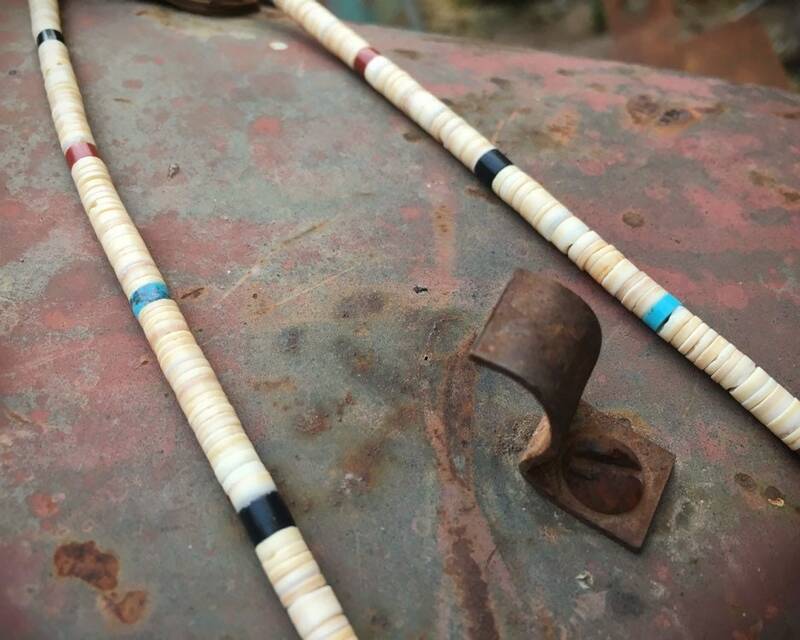 A small hole is then drilled into each of the small squares, which are then strung onto a wire, and finally the artist can grind and shape the beads into the round forms that we see. Heishi that is well made with natural materials feels smooth and serpentine when pulled through the hand. 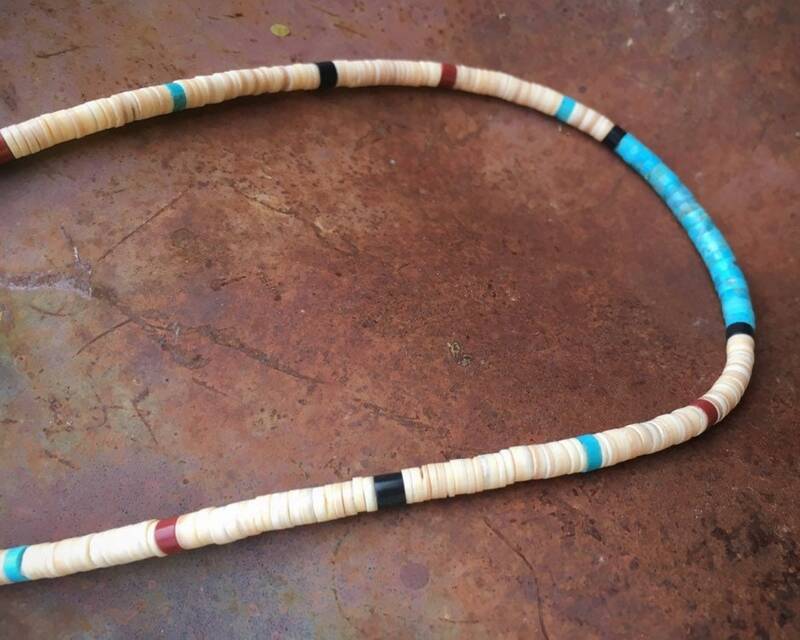 And if you ever wonder why the price of heishi is as high as it is, now you know the process of making such a necklace. 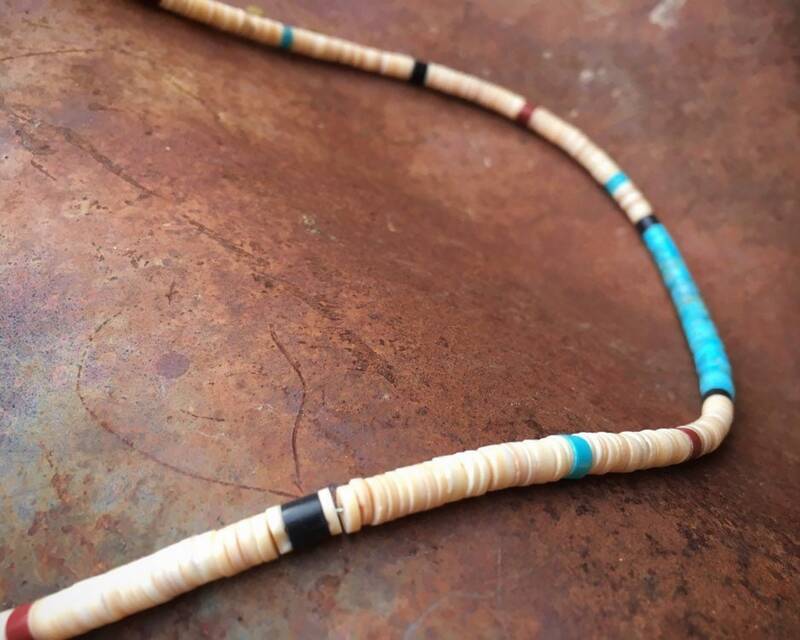 This strand measures 15" long, and the heishi beads are slightly graduated with the turquoise beads at the center of the necklace measures about 1/4" in diameter and the smallest beads toward the ends closer to 1/8" in diameter. The silver tone findings are not sterling silver.